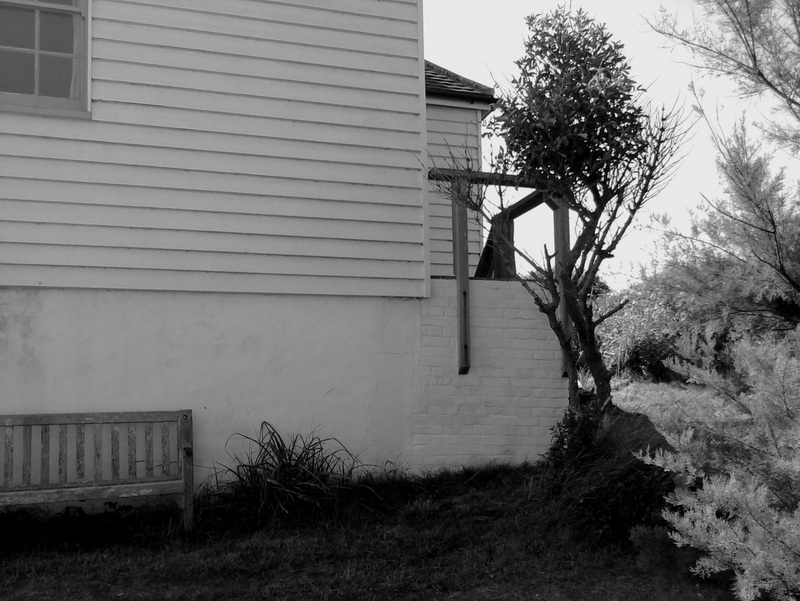 This summer I was asked to undertake some repairs to the Coastguard’s Cottage at Cuckmere Haven which overlooks the iconic Seven Sisters cliffs. The cottage was built in the 1820s and is still in the care of the descendants of the last coastguard to live and work here. 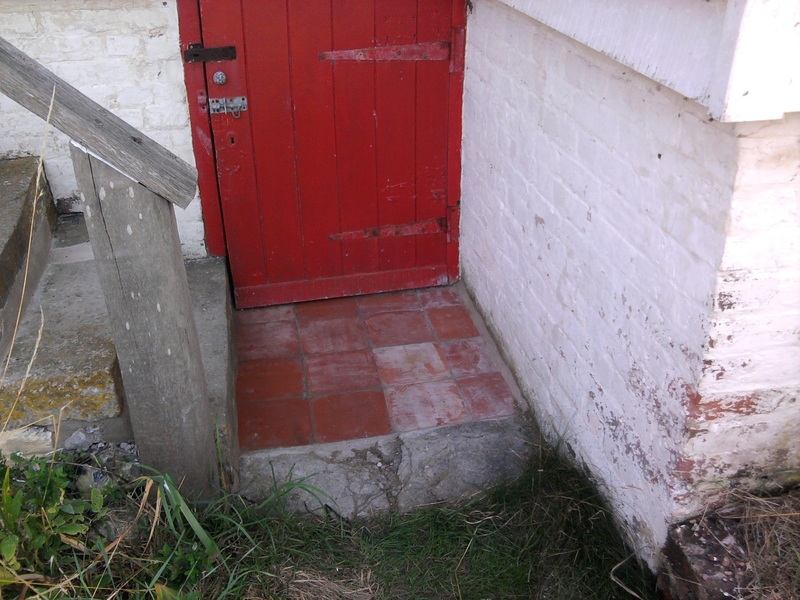 The steps to the front door are on the north east side of the cottage and therefore sheltered from the sun and the wind. 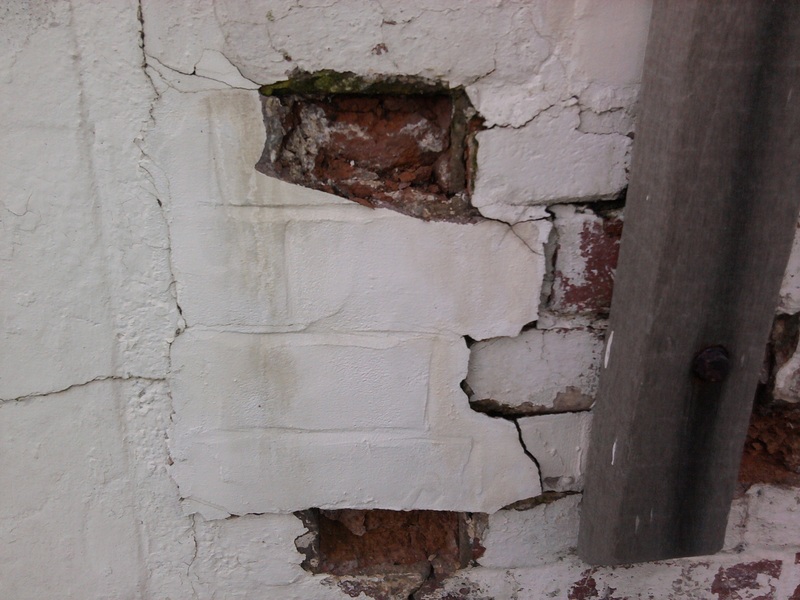 The damp conditions and the existing non-breathable paint and mortar had caused cracks to appear and the accelerated decay of the brick and stonework. 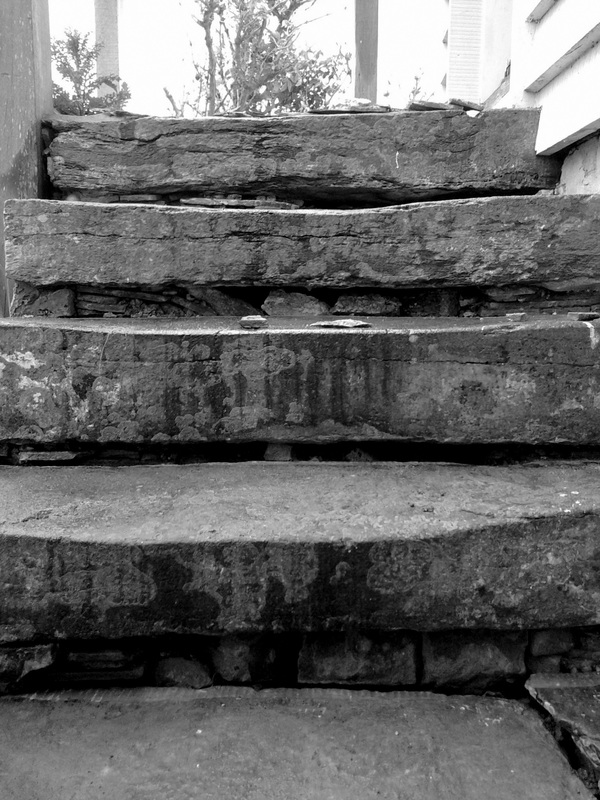 Earlier repairs to the brickwork were now failing and the quarry tiles at the foot of the steps were broken or missing. I sourced replacement tiles from a local reclamation yard and lay them following the original pattern. 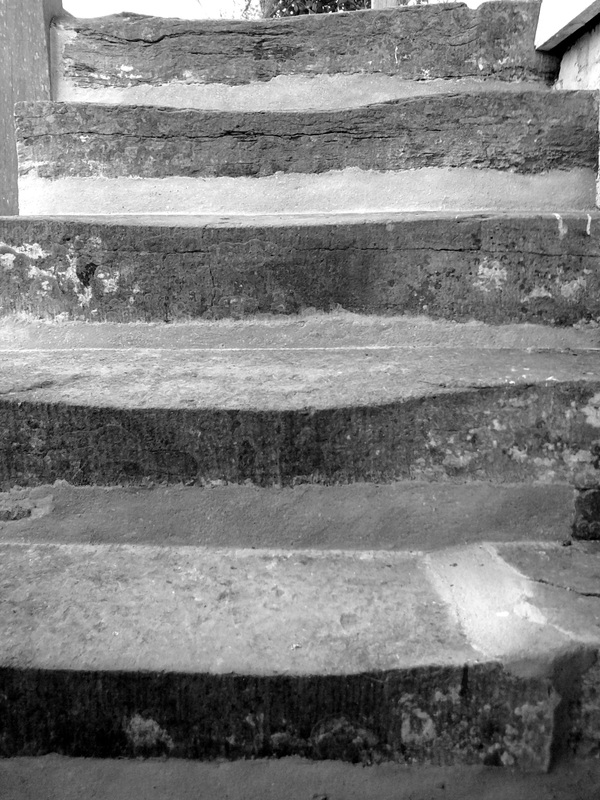 Removing the cement pointing from the steps revealed the extent of the erosion caused by the impermeable mortar….and I am always fascinated by the wear caused by the footfall of past generations. The joints measured upto 60mm in places so I packed them with slate and tile remnants to prevent the new lime mortar from shrinking and cracking. The damp climate meant I had to wait a week between layers of lime mortar to give it the best chance of curing properly. 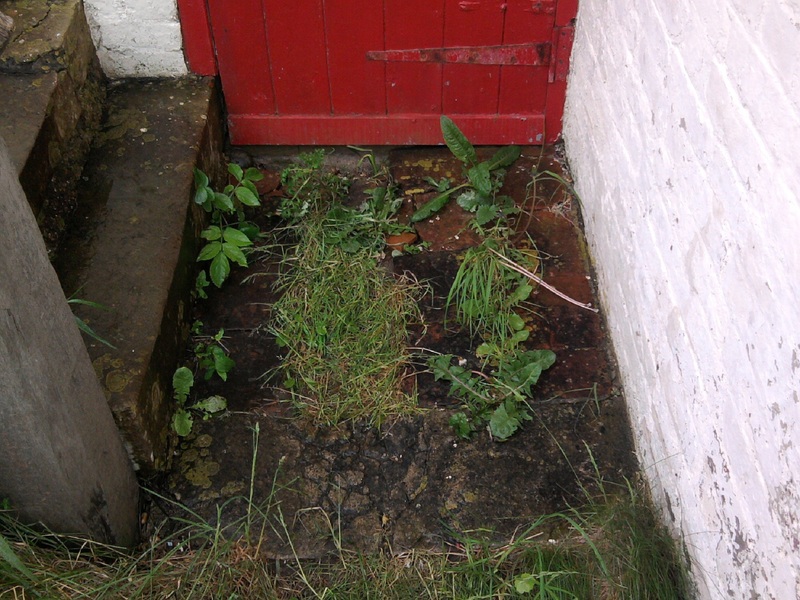 Meanwhile I had been removing the paint from the two brick walls which support the steps. Using a poultice to remove the paint I revealed the coats of limewash beneath. I could also see where cement brick repairs had been made and carefully removed them with hammer and chisel, before removing the pointing that had been made with cement. 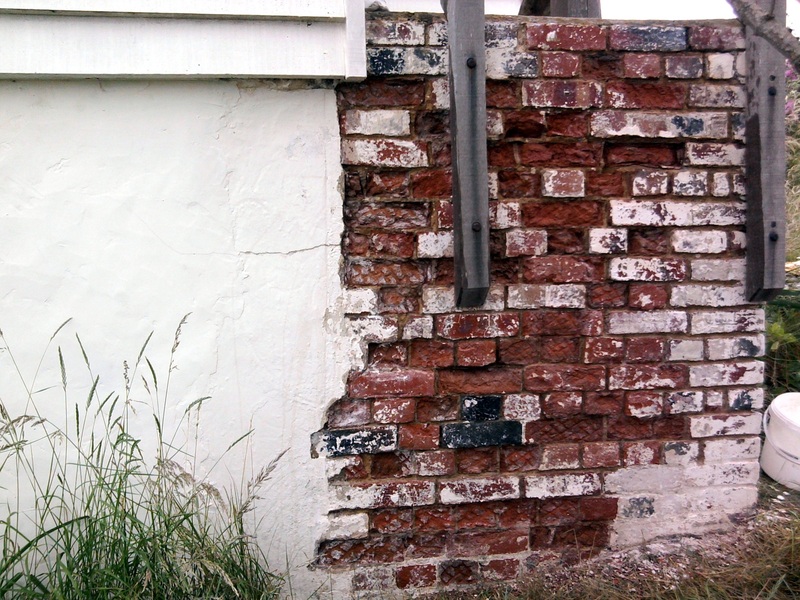 I restored the bricks and completed the pointing in lime mortar before limewashing the brickwork. Air and moisture can move through this structure now, discouraging rot in the cellar and allowing the original materials of the building a much longer life.